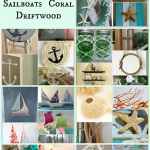 I hope you’ve been enjoying my nautical series as much as I have! 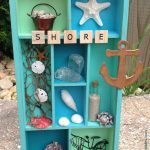 I love seeing all of the crafty ideas from so many creative bloggers for easily achieving the coastal decor and beachy style everyone loves! Today’s theme? 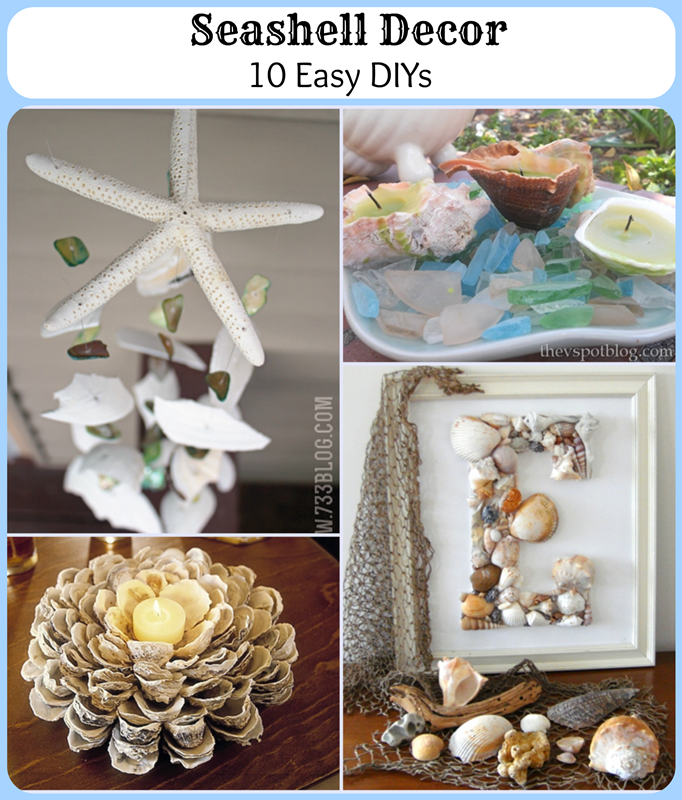 Seashell Decor! 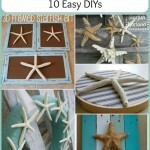 So far, I’ve shared how to decorate with starfish, anchors, rope, sailboats and driftwood. 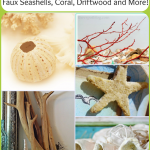 And I also collected some pretty cool tutorials for how to make your own faux coral, seashells and even faux driftwood. And I’m not done yet! Make this candle centerpiece and it will be the center of attention at your next gathering! 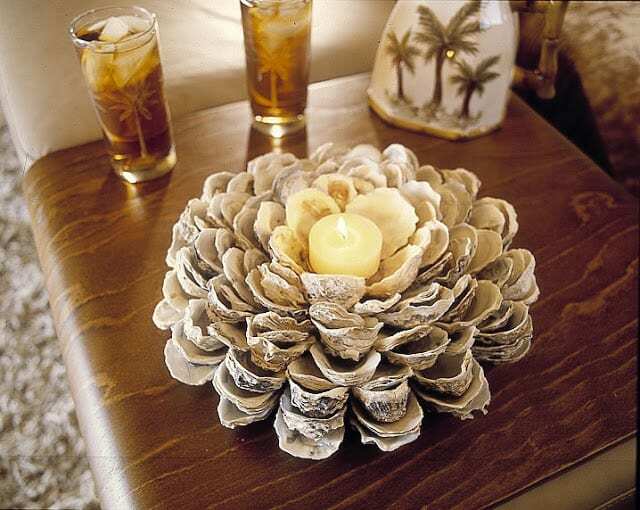 I love the creative use of oyster shells! 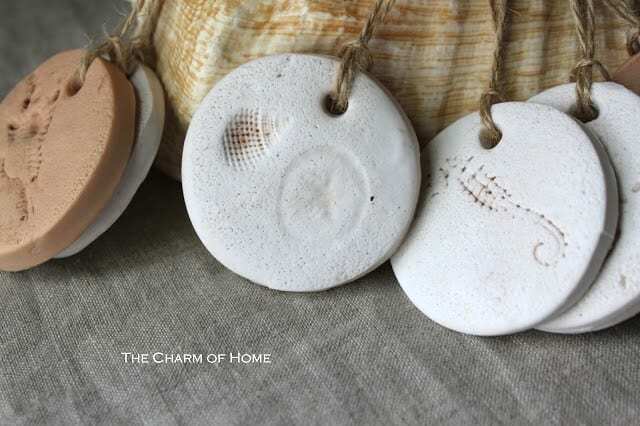 Using shells you’ve gathered over time, or shells you’ve purchased at a craft store, you can create these polymer clay tags to use as ornaments, gift tags or party favors! You’ve probably seen this shell candle idea in some high-end home decor catalogs along with a high-end pricetag. Why not make your own? Monogram wall art is big, big, big right now in home decor. 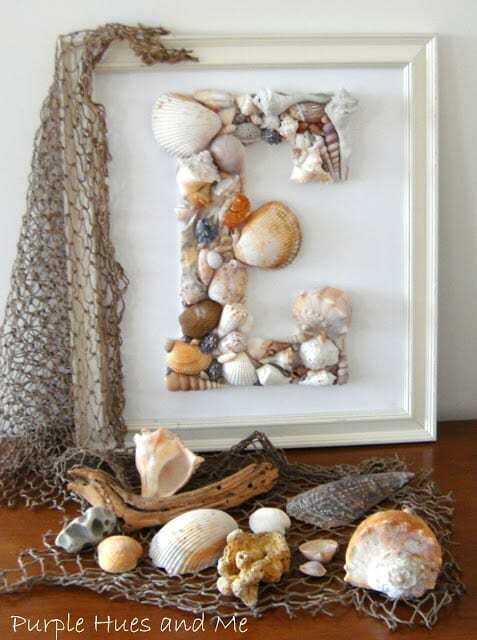 Make your own monogram with seashells, for a nautical spin on this hot design trend! Wreaths aren’t just for front doors anymore. 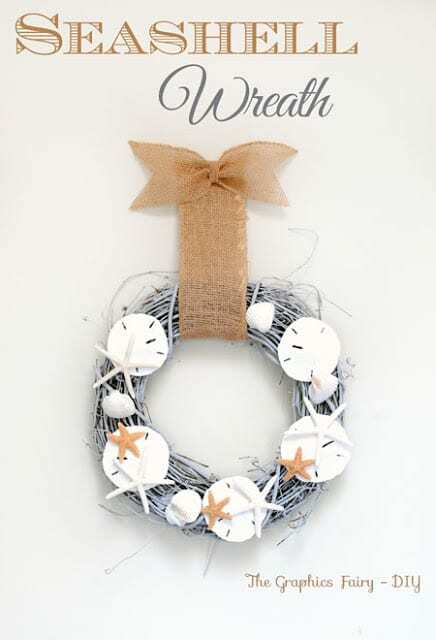 Hang this coastal style wreath in your favorite room so you can enjoy it all the time! 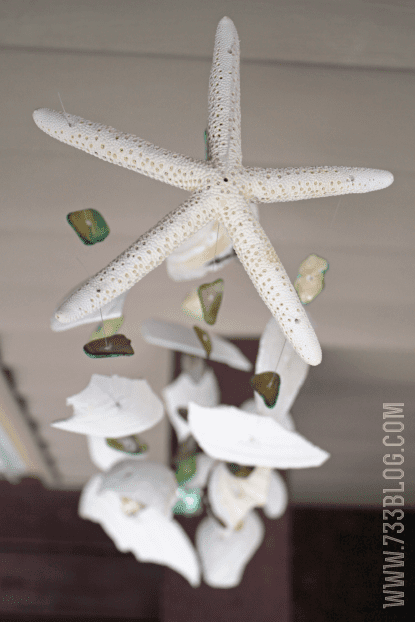 Another creative way to decorate with seashells is this windchime, which you can enjoy indoors or outside! This oyster shell garland is incredible. I know you agree! 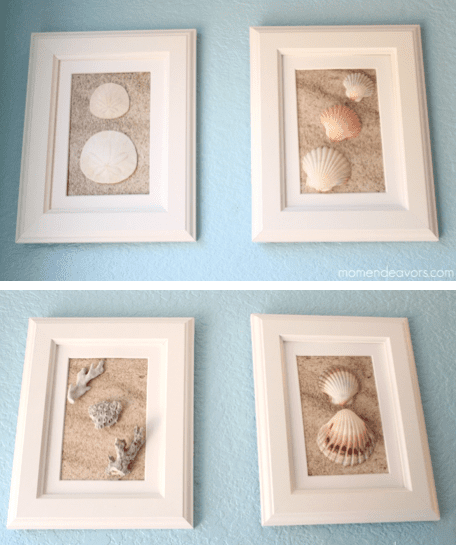 An easy background for your framed shell art can be scrapbook paper that looks like sand. Brilliant! 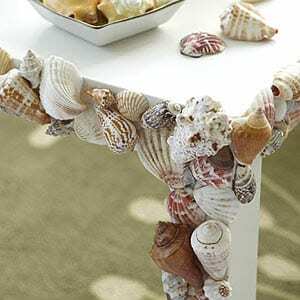 This seashell table offers many details to enjoy. A real conversation piece! 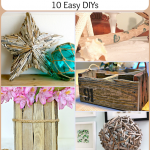 This last image isn’t a tutorial, but when I pinned it onto a Coastal Decor board on Pinterest, it immediately was repinned over and over again, so I had to share it here. 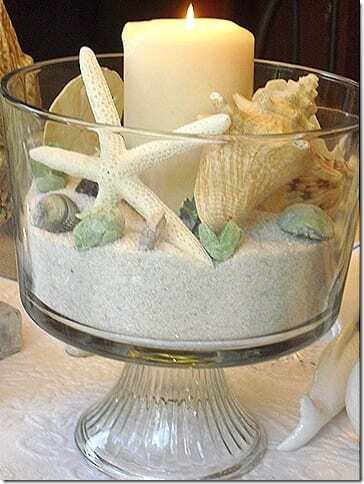 The shells are so beautifully arranged around the candle in this trifle dish! Thanks for featuring my wreath Laura!! You’re so welcome, Karen! Love the matching pair of wreaths you made for your home! You’re welcome Kim! It’s truly beautiful! I love all of your features! 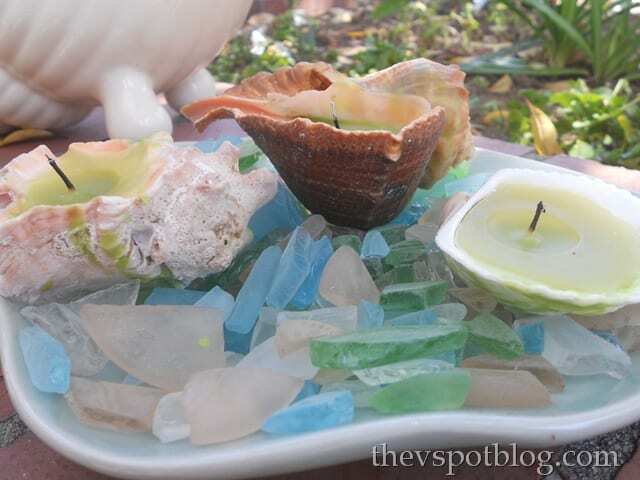 Especially the oyster shell candle piece – what a beauty! Thanks for featuring my seashell monogram among all these lovelies. 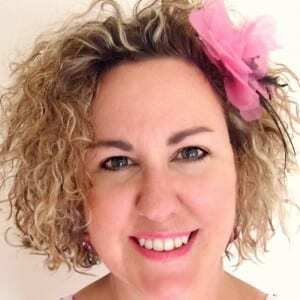 So nice to discover another wonderful blog. 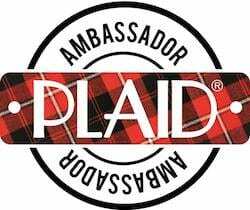 I’m now following! Yes, I agree that the oyster shell candle is pretty incredible! 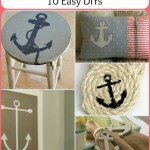 But so is your seashell monogram, and I love the way you styled the picture too! Thanks for following along!